ICC Cricket World Cup 2019 will begin from 30th May 2019. But before that we have some exciting fixtures for warm up matches. This post will provide you details on the schedule. Also Hotstar will provide live streaming of warm up matches in Hindi and English commentary. Click here for full Cricket World Cup 2019 Schedule and world cup winners so far. Enjoy ICC Cricket World cup 2019 live streaming on Hotstar. The ICC Cricket World Cup 2019 will be played from 30th May to 14th July 2019 in England and Wales. This time the format is pretty simple, similar to the 1992 World Cup. We will have a round robin stage where all the teams will play each other following which four teams that top the points table will play the semi-finals. India, Pakistan, Sri Lanka, England, Australia, Bangladesh, West Indies, Afghanistan, New Zealand and South Africa. 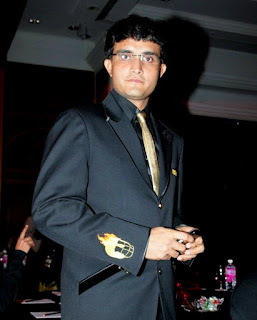 Former Indian captain and a prolific limited overs player Sourav Ganguly (in an interview) expressed his views about Cricket World Cup 2019. He is pretty confident about Virat Kohli and company and he believes India are the strongest contenders to life the ICC Cricket World Cup 2019. 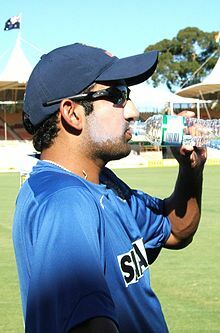 Following great performance by team India down under in Australia and then in New Zealand, former captain has shown great confidence in the current Indian batting and bowling line up. He said Indian top order in batting is better than any other team. They know how to handle pressure. They have mastered the art of chasing which is not to easy in the limited overs of cricket. For totals like 250, Indian batting line up finds no issues in chasing down the total comfortably and they are much better than that. They can even chase much bigger totals. Virat Kohli and Rohit Sharma are in prime form and they lay down a strong foundation in any ODI innings. About bowling he believes Kulcha (Kuldeep Yadav and Yajuvendra Chahal) are doing a brilliant job with the ball. Their variation adds flavor to the Indian bowling line up which already consists of quickies like Shami, Bhuvaneshwar and Bumrah. Rohit Sharma, Shikhar Dhawan, KL Rahul, Virat Kohli, MS Dhoni, Jasprit Bumrah, Ambati Rayudu, Kedar Jadhav, Dinesh Karthik, Hardik Pandya, Bhuvneshwar Kumar, Mohammed Shami, Ravichandran Ashwin, Yuzvendra Chahal, Kuldeep Yadav. The official squads for the ICC Cricket World Cup 2019 are yet to be announced. We will keep you updated with the squads once they are announced. As far as the live cricket action is concerned, Indian cricket fans can enjoy Cricket World Cup 2019 live streaming and telecast on HotStar and Star Sports HD TV network with live English and Hindi commentary. Cricket World Cup is certainly the biggest ICC event. Fans eagerly wait for this event as this provides an opportunity to teams around the world to clinch the coveted title and prove their supremacy in cricketing world for next four to five years. This post will help you know world cup winners so far since its first edition in 1975 that was played in England. We will try keep this post short, precise and to the point! In the first three editions West Indies dominated the other teams. They clinched the world cup trophy twice but failed to make it for the third time when India defeated them in 1983. Since then if we sum up, Australia have dominated the other editions with five world cup wins so far. The 12th edition of the ever-awaited ICC Cricket World Cup will be played in 2019. This time England and Wales would be hosting this mega event from 30th May to 14th July 2019. The ICC 2019 cricket world cup will kickoff with the first match to be played at the Oval and the final match will be hosted by the Lord's. This time there are certain changes in the format. We won't be seeing groups and Associate nations featuring this time. Ten teams would battle it out in 48 matches with a round robin format to clinch the coveted title. We will soon post information on World Cup 2019 live streaming official broadcasters, squads, latest news and much more. Please note this is an informational blog on ICC Cricket World Cup 2019. We provide details about venues, squads, match previews and details about ICC Cricket World Cup 2019 live streaming official websites.